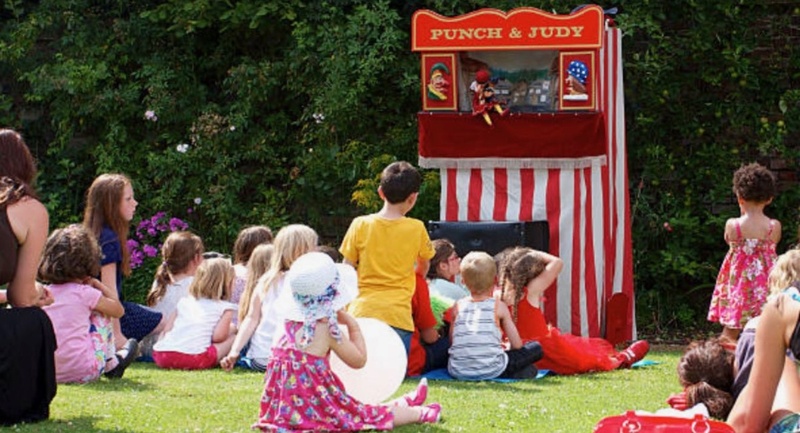 Punch & Judy - Puppet Shows Show packages available through Children's Party Ents Ltd. Whether it’s the traditional seaside type of show you are after of a completely different type of puppet show, we can provide the right entertainment for your next function. Our puppeteers can provide static shows at your event or Birthday party, or can walk around mix and mingling with your customers or guests with the larger characters if you need crowds entertained at such events as summer fetes, Christmas fairs or company fun days. The shows can vary to suit all ages, we have puppet shows aimed just at the preschool age, and shows suitable for older children. All the shows are colourful, have lots of audience participation and are full of laughs. Please be warned that good puppet shows are few and far between and our entertainers get booked up early for such occasions as summer fetes and Christmas parties, so don’t leave booking them until the last minute.